We’ve all been there: It’s 3 p.m. on a Thursday afternoon, dreams of the weekend chipping away at your concentration, and the thought of a doughnut seeming like the best idea to keep you going. Or after a particularly indulgent weekend of cakes, cookies and desserts, you can’t help but reach for another treat to satisfy your taste buds. 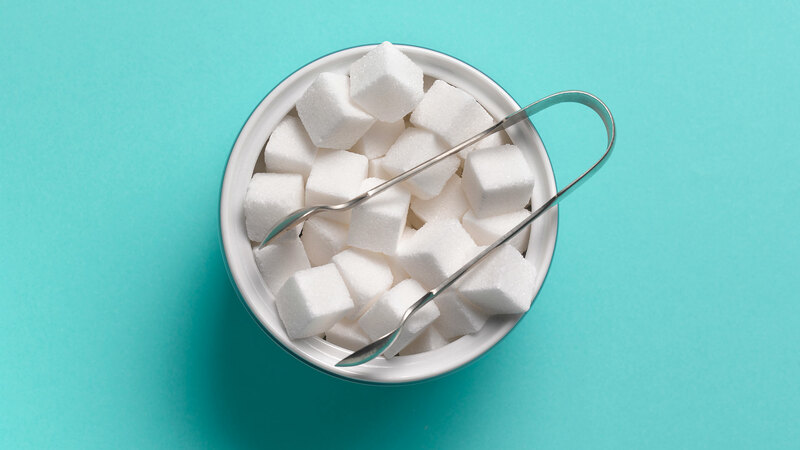 The only issue with overdoing it on foods that are high sugar is the impact they have, not only on your waistline, but on your mood, emotional levels and overall health. In fact, registered dietitian Kaleigh McMordie explains a sugar craving is actually a signal from your body that you need energy — and quickly. Here, the scoop on what causes these gotta-have-it-yesterday hankerings — and how to curb them, especially during the holiday season when gatherings of sugar abound. More: How Is Sugar Hurting Your Kids? Like McMordie says, when you’re double-tapping on those scrumptious-looking posts from your favorite bakery influencer, it’s your body wishing for a pick-me-up. But while a part-cupcake, part-ice-cream-sandwich creation looks amazing, it’s not actually what your body needs. There’s a reason that 3 p.m. slump is so relatable. As McMordie says, more often than not, people have a consistent urge for sugar at specific, recurring times of the day. “This could be because of habit — for example, if somebody eats a sweet snack at 3 p.m. every day or eats a candy bar after dinner every night while watching TV. It could also be because the person is simply not fueling their body correctly,” she explains. And the cold, hard fact of the matter is the more sugar you give your body, the more it will want as you unwillingly create an addiction that’s tough to shake. Put up your dukes and prepare your backbone, as standing firm against sugar cravings will take some practice, especially if your habits are far from healthy. But we have experts’ smart, useful and effective ways to shy away from sugar and improve your lifestyle. You already know how that Starbucks run makes you feel: At the moment, that cake pop is exactly what you need to get through a tough call with a client. But in an hour? You’ll feel even more exhausted than you did before you logged into the conference line. That’s why McMordie says paying close attention to how sugar makes you feel will help you make smarter choices that still ignite your sugar tooth. “Try something naturally sweet, like fruit paired with a fat or protein, such as a handful or nuts, some cheese or yogurt. The fiber from the fruit combined with protein or fat will give you a slow, steady supply of energy and keep you from bottoming out later,” she adds. Registered nutritionist and dietitian Keith Ayoob says while it might seem counterproductive, actually allowing yourself the indulgences you can’t stop gushing over is OK as long as it’s done mindfully and infrequently. “It’s far better to build in a sweet treat than to decide to go cold turkey, end up bingeing down the road, then feeling like you failed,” he says. To do this, McMordie says to pick up your all-time favorite goodie that always hits the spot. Then much like fostering a new relationship with a partner, take your time. “Notice the smell, texture and taste. Take small bites and put your fork down between bites to notice how you feel and if you are satisfied. Enjoying your sweets mindfully will help you to enjoy your treat more fully and help you to be satisfied with less. Eventually, you might find that you don’t want that stale cookie because you know it won’t taste very good and you have a really good piece of chocolate waiting at home for you,” she explains. Yes, even in a rush. Yes, even if you don’t usually want it. As Ayoob says, this all-too-important meal can make a big difference in your food choices throughout the day, especially when it features the key players of nutrients. “Your breakfast had better have more protein than cereal and milk. That’s a start, not a finish. Add at least a 5 ounces of fat-free Greek yogurt or a hard-cooked egg or a piece of last night’s chicken. Chances are you get enough protein but do you get it early enough? Probably not, and this is a set-up for cravings later in the day. When you’re really hungry, you won’t eat healthy. That’s as simple as it gets,” he says.